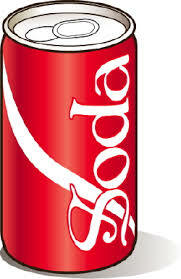 Should I drink diet soda? The real deal on artificial sweeteners and your weight. Dieters often reach for artificially sweetened foods or drinks, thinking that they can satisfy their sweet tooth without incurring any calories. While this is true, some research shows that artificial sweeteners may actually promote weight gain and affect our health in negative ways. 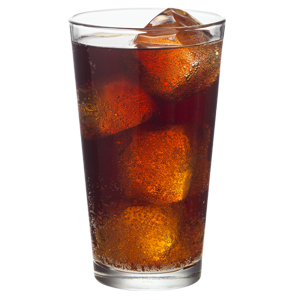 1) One study examined the long-term relationship between consuming artificially sweetened drinks and weight. The 3,682 participants were followed for 7 to 8 years and their weights were monitored. After adjusting for common factors that contribute to weight gain such as dieting, exercising change, or diabetes status, the study showed that those who drank artificially sweetened drinks had a 47% higher increase in BMI than those who did not. 2) Another study showed that those who drank over 20 diet sodas per week were twice as likely to become overweight or obese compared to those who didn’t drink diet soda. 3) Another study showed that both sugar-sweetened beverages and artificially sweetened beverages were linked with an increased risk of developing Type 2 Diabetes. First of all, we need to understand how artificial sweeteners (or sugar substitutes) work. Artificial sweeteners contain no calories but give you the sweet taste found in regular table sugar. So, for those who are trying to restrict calories in their diet, they may think that artificial sweeteners are better because of the reduced calories they consume. However, some researchers have found that artificial sweeteners don’t satisfy the “food reward” centres of the brain as regular sugar does, causing us to crave more sweet food and drinks which, in turn, may lead to weight gain. Furthermore, many people mistakenly think that food and drinks containing artificial sweeteners are healthier, but this isn’t the case. Artificial sweeteners are found in processed foods, which are not as nutritious and don’t offer the same health benefits as whole foods such as vegetables and fruits. And just because a food is marketed as “sugar-free” doesn’t mean it’s free of calories. You can still gain weight if you eat too many sugar-free foods if they contain other ingredients that have calories. Click here to read more about artificial sweeteners. 1) Bellisle F, Drewnowski A. Intense sweeteners, energy intake and the control of body weight. Eur J Clin Nutr. 2007;61:691-700. 2) Fagherazzi G, Vilier A, Saes Sartorelli D, Lajous M, Balkau B, Clavel-Chapelon F. Consumption of artificially and sugar-sweetened beverages and incident type 2 diabetes in the Etude Epidemiologique aupres des femmes de la Mutuelle Generale de l’Education Nationale-European Prospective Investigation into Cancer and Nutrition cohort. Am J Clin Nutr. 2013;97(3):517-23.